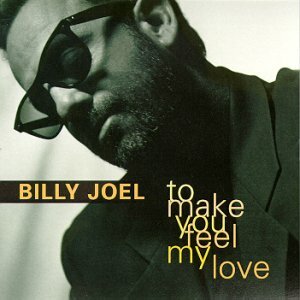 In his Rolling Stone review of Bob Dylan’s best album in two decades, Time Out of Mind, critic Greg Kot calls “Make You Feel My Love”: “a spare ballad undermined by greeting card lyrics that breaks the album’s spell”. Harsh, dude. I don’t agree, necessarily, but there is something a little “greeting card” about this song. How do I know? Well, it has been covered by a lot of greeting card singers. Let’s break them down (in order from worst to, um, slightly better than worst). 1. Billy Joel. Recorded for his Greatest Hits v3 (seriously, I did not know that he had that many hits!). This is sort of a pounding piano performance of the type that Joel does best. Piano, some drums, and he belts parts of it out. Throw in some harmonica and a little organ. What a mess. 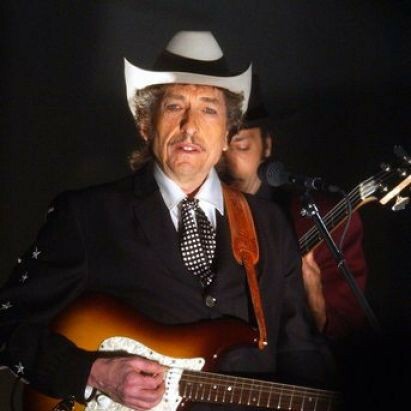 Joel’s version was released as a single two months before Dylan’s album was released, and it hit #50 on the charts. 2. Kelly Clarkson. All piano and production and hitting notes with a mechanical precision. I can’t get all the way through this version. This is the type of thing that people sing on American Idol, which is why I don’t watch American Idol. 3. Taylor Hicks. Speaking of which. Here’s another one, from the season five winner. 4. Josh Kelley. I’m not even sure who he is. This is from the soundtrack of A Cinderella Story. Completely over-produced. Gets awful about 1:00 in. 5. 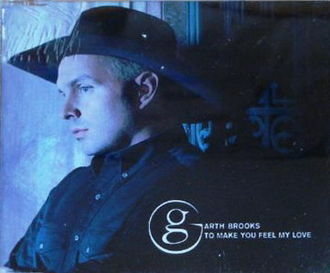 Garth Brooks. Brooks also goes the piano route here. It’s better than Joel’s version, but that’s not saying a whole lot. His version was used on the soundtrack for the much derided Sandra Bullock film, Hope Floats. I only like Brooks when he is being a douchebag (“Friends in Low Places”), so this earnest version is no good. This a real greeting card version of this one. 6. Trisha Yearwood. From the same soundtrack as the Brooks version (Hope Floats), this is helping to establish this as a showpiece for vocal pyrotechnics. Minimal organ and some strings and a whole lot of Trisha. 7. Joan Osborne. From her 2000 album Righteous Love. All vocals and drums. At least she does something different with it. I don’t much care for her vocals though. 8. Bryan Ferry. Aging new wave star singing treacly love song. This one is pretty lifeless. Ferry also recorded “The Times They Are a-Changin’”, so he has a long connection to Dylan covers. He also did “Let’s Stick Together”, which Dylan also covered. 9. Neil Diamond. He’s the best, isn’t he? Who doesn’t love Neil Diamond? This is actually pretty good. Neil sounds like he gets this one on the level that Dylan wrote it. Almost no music at first – all Diamond, baby. 10. Adele. 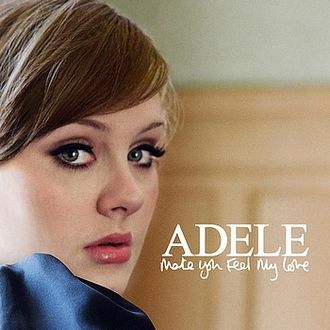 Adele recorded this on her first album, and it was released as the fifth single. Again, keyboards and vocals. She makes this work a lot better than the men do. Here she does a live version dedicated to Amy Winehouse that actually turns it into a semi-tragic anthem. Wikipedia cites about two dozen additional covers of this song, but a lot of them are by people I’ve never even heard of and life is short. Prince apparently covers this live, but I didn’t find a good video of it. It’s a tear-jerker, I guess. Of all the great songs on Time Out of Mind, the most-remembered, by far, seems like it will be one of the slightest. Oh well, that’s showbiz.